It doesn’t get any simpler than a single photo and a block of bold color. 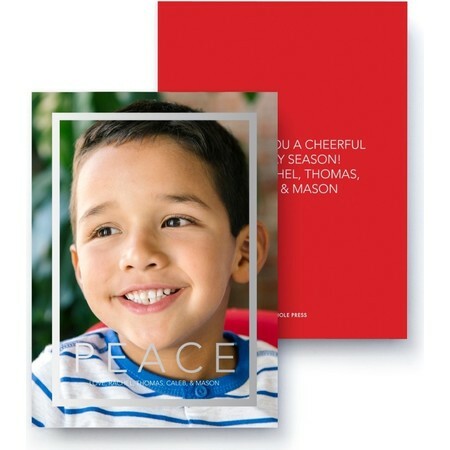 Wish your friends and loved ones peace this season with a single favorite portrait. Don’t forget to add a custom message to the back!